but he knows that sometimes it's all about wits and perspective. Twist the camera to reveal hidden locations and other secrets. The Wii U GamePad offers a closer view of the dangers and hidden items in each maze, and its gyro controls can also be used to peer around. 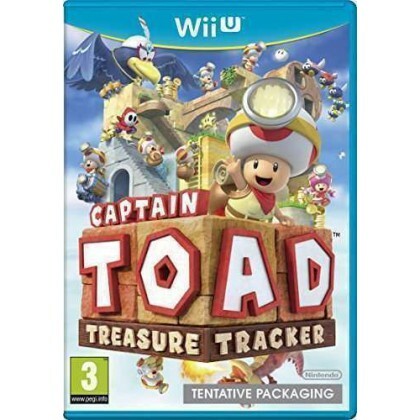 Captain Toad's world is brimming with life, with dangerous enemies, tricky platforms, nasty traps, and secrets to uncover. Each stage is its own puzzle to solve, and littered throughout are hidden items in hard-to-reach places. Can you help our tiny adventurer survive to find them all?